Lipa, Philippines " Our Lady, Mediatrix of All Grace "
Uno de los Pétalos de flores con imágenes sagradas. 1948 Our Blessed Mother appeared 19 times to a novice in the Carmelite order in Lipa City, Philippines. Our Lady first appeared to the novice, Teresita Castillo, in August, when she was in her cell.
" I am the Mediatrix of All Grace"
There are acconts of a blue bird appearing at the vine where Our Lady appeared. There are also accounts of the spinning sun, heavy fragrance of roses, and showers of rose petals that had miraculous images of Christ, Mary, and other Holy Scenes on them. The rose petals are reported to have remarkable curing powers. It is also reported that Teresita received a Host for Holy Communion on her tongue from an angel on an occasion when she was unable to attend Mass because she was sick in bed. Teresita had other mystical experiences including visions of the Sacred Heart, a multitude of angels, St. Cecilia, St. Theresa of Lisieux, and many other saints. The seer was also seen to go into a state of unconsciousness, and then, while lying on the floor, enact the agony of Christ on the Cross. This phenomenon was witnessed by the prioress, Bishop Obviar, and members of the Carmel community at Lipa. There was much commotion, and the Bishop and Mother Prioress were released of their jobs. The nuns were ordered to destroy all materials connected with the apparitions. They burned Teresita's diary, as well as the Mother Prioress'. The statue was also ordered to be destroyed, but the nuns kept it away, and saved it from destruction. Our Lady warned that there would be persecutions; the convent was sealed, and the nuns could talk to no one outside of the convent. In February 1990, a strange new phenomenon was reported in the Granja District of Lipa City. 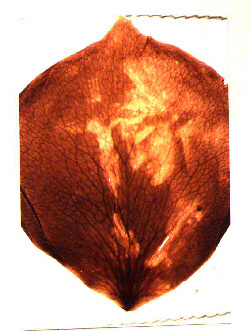 A white luminous outline of a female in prayer began to appear on one of the leaves of a tall coconut tree. It was visible only in the evenings. On May 21, 1990, Sr. Aphonse pleaded on her deathbed that the Mediatrix statue be again exposed in the chapel at the Carmelite convent. Her request was granted the very next day. It would be the first time the statue would be displayed for 40 years! 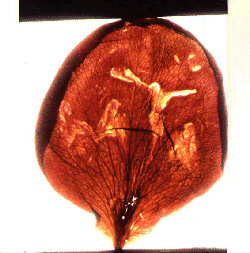 On January 24, 1991, rose petals began to fall straight from the sky again at the Carmelite convent in Lipa City. A few days later, six children playing in the garden at the convent saw the statue come to life. Very negative media articles together with sham " Holy Rose Petals " dealers, caused Teresita to leave the convent in the 1950's. This, together with the Church's negative report, kept these apparitions hidden for some 40 years. As a consequence, the Church has now set up a new commitee to investigate the apparitions.